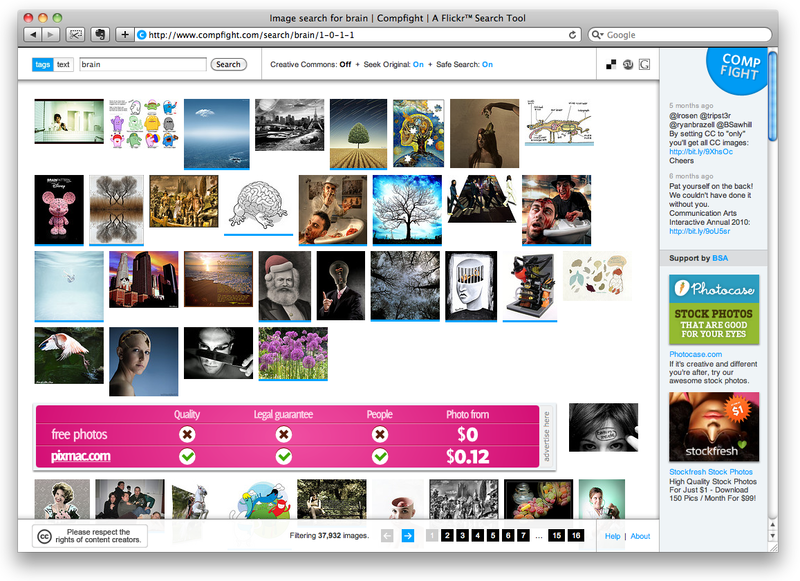 CompFight was featured in the Experimental category of this year’sCommunication Arts annual. 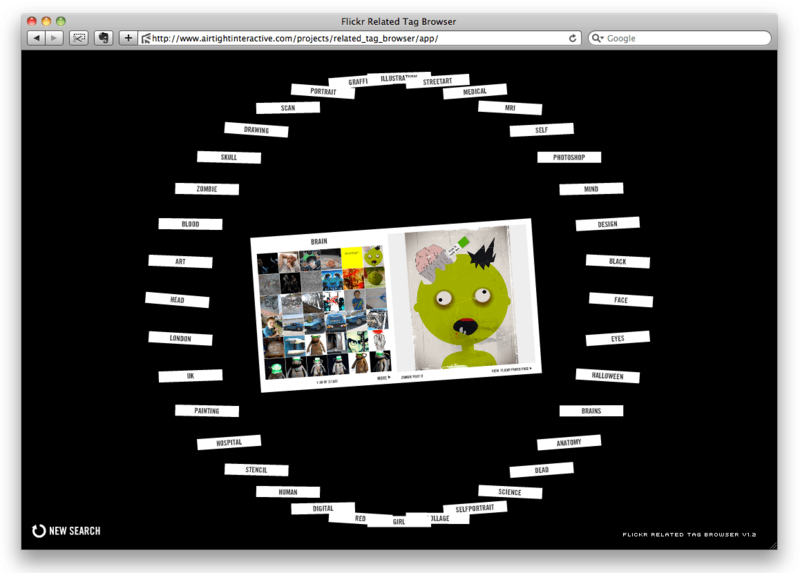 You may recall Flickr Related Tag Browser a sleek web app retrieves Flickr images tagged with your search keyword in a neat grid, surrounded by a radial display of related tags. Clicking each related tag produces the same grid of images tagged with it, semantically leading you down the endless image tagging rabbit hole. 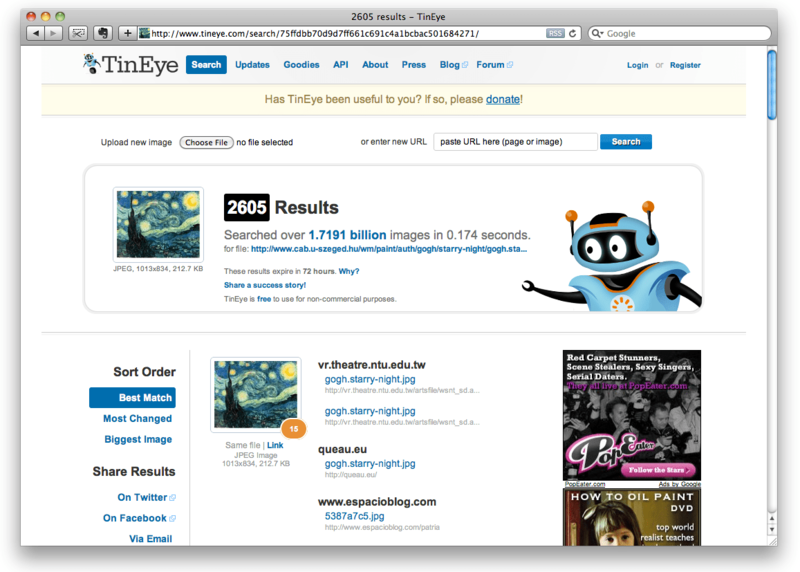 TinEye is reverse image search — feed it any image, either by uploading or by pasting the image URL, and it’ll tell you where it came from. We were able to use it on a scan of an obscure German calendar from our childhood and TinyEye proceeded to promptly produce a Flickr set of the entire calendar, uploaded by someone who had also saved the 90′s visual relic. 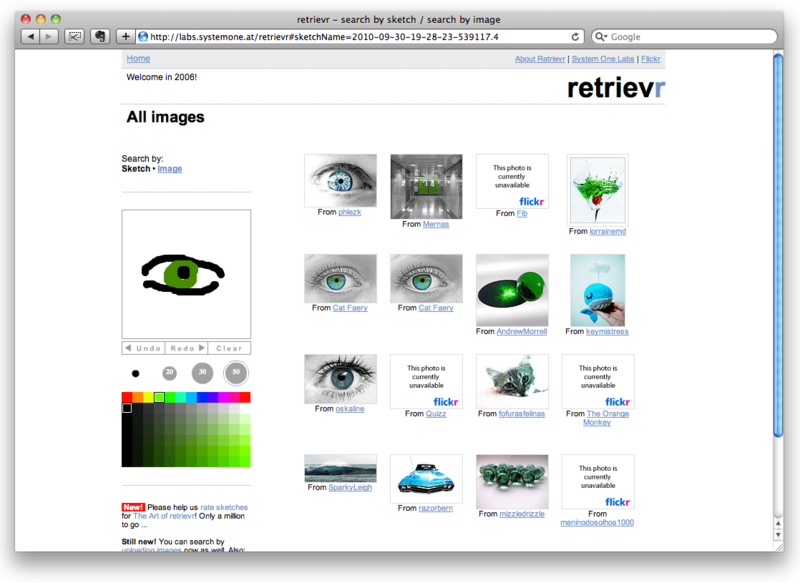 retrievr is an experimental image search tool that uses color recognition to retrieve Flickr images that reflect the spatial color arrangement of a digital sketch you draw on a canvas. 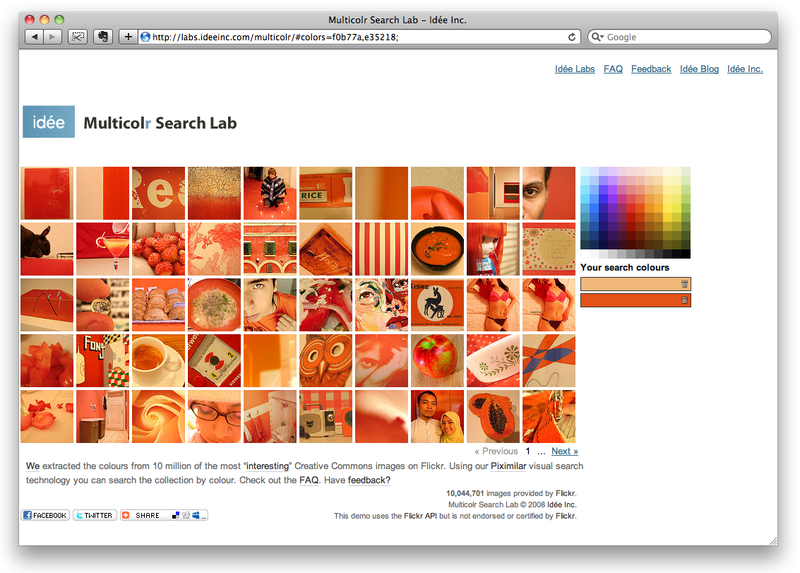 Easily the most useful color-based search tool yet, and also athrowback to our deep archives, Multicolr Search Lab offers a simple yet sophisticated way of finding images based on a color or color combination you’re looking for. Images are pulled from more than 10 million of Flickr’s most interesting photos and you can add up to 10 colors as your search criteria, including multiple swatches of the same color to indicate ratio — say you want an image that’s almost entirely yellow with a bit of blue, you may select yellow four times and blue once.